Find hotel near Aix En Provence Tourist O .. 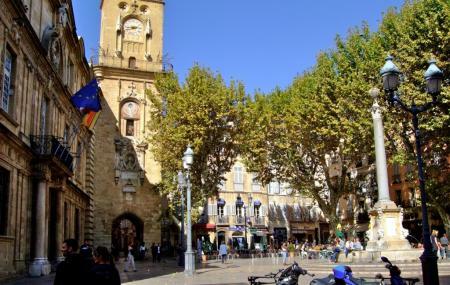 Helpful staff and an informative tourist centre where visitors can not only get detailed information about the attractions, but can also plan their visit, book accommodation and register for guided tours in Aix-en-Provence. The gift shop within the office is great for souvenir shopping! How popular is Aix En Provence Tourist Office? People normally club together Hotel De Gallifet and Mossy Fountain while planning their visit to Aix En Provence Tourist Office. Skip this town, many much nicer and more accommodating neighbouring cities. The tourist centre and the city itself do not have public washrooms. After three weeks of site seeing from Toulouse to Nice, all in southern France, this was the only city we felt like we should have skipped. Excellent service received. Thank you.